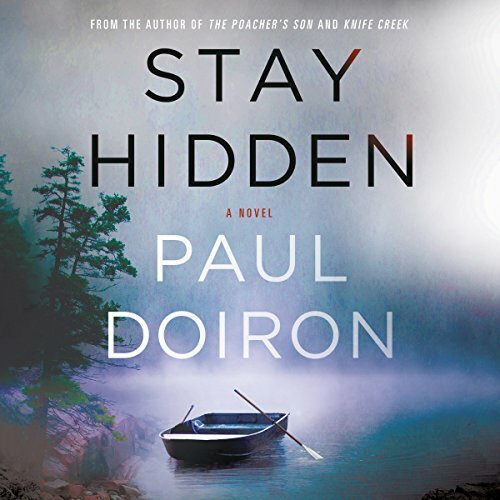 In Paul Doiron's Stay Hidden, a supposed hunting accident becomes a dangerously complicated murder investigation in this intricately-plotted new audiobook thriller featuring Maine Game Warden Mike Bowditch. The hunter now claims he didn’t fire the fatal shot and the ballistic evidence proves he’s telling the truth. Bowditch begins to suspect the secretive community might be covering up the identity of whoever killed Ariel Evans. The controversial author was supposedly writing a book about the island's notorious hermit. So why are there no notes in her rented cottage? Paul Doiron has done it again. He has written another riveting tale of suspense and murder in Maine's outdoors...this time on an island off the coast of Maine. STAY HIDDEN is a page turner that will keep you up late at night waiting to find out what exactly happened, as you get drawn into Maine Game Warden Investigator Mike Bowditch's complex world. Keep 'em coming, Paul! Your fans are already waiting for the next chapter in Mike Bowditch's evolution as a professional and a man. I really enjoyed this book. It was a first one I've listen to by this author and I definitely enjoyed it. Performance was great, but story was a bit boring even with the crusty old characters described fairly well. I have read every work from Paul Doiron. I have never been disappointed, and I wasn’t with this book. It must be incredibly hard to conceive new plots to entertain and Mr. Doiron does this incredibly well. I continue to highly anticipate each and every new novel, and especially the new plot line. This book is a rehash of the same story just set in a different location. Too many characters all sounding the same. Main character never seems to get any smarter despite all the lessons. Sending this book back. Paul Doiron has written another excellent installment in Mike Boditch series. It had all the elements expected. Henry Leyva gave a wonderful performance as he brought it all to life. Love the series and the reader but just didn’t love this one. Maybe it was the tick infested starving deer that did it. It took me over a month to finish this. Just me probably. Looking forward to future Bowditch adventures. Although the author presents a good portrait of Maine island life, the reader's attempt at the Maine accent and at the rhythms of Maine speech is so bad that my enjoyment of the book was ruined. This narrator should stick to accents he truly knows. Another really good book in the series, hard to top some of the others but this comes close. Not sure why the author needed to bring politics into the book but that did not make a difference in this review.